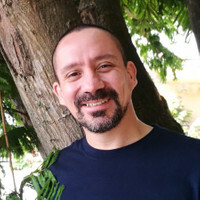 Marco is our Destination Expert in Costa Rica. "Fantastic!! Marco was responsive and Professional and we had an excellent outcome. It was a last min...". 21 days Costa Rica: the Caribbean & the Pacific! Hotels with great location and service! Enjoy the freedom of driving yourself! Visit the national park that holds 2.5% of the planet's biodiversity and 50% of Costa Rica’s species, Corcovado! Visit the highlight destinations of Costa Rica, from Caribbean beaches to the Pacific coast, discovering mountains, plains, cloud forests and much more on the way! Navigate the famous canals of Tortuguero, enjoy the beaches of Puerto Viejo, and the natural splendor of Sarapiquí. A visit to the spectacular Arenal Volcano provides guaranteed excitement for the entire family. Later, head to the mountains and the volcano of Rincón de la Vieja. Relax and enjoy surfing on the pristine beaches of Tamarindo before going to the cloud forest of Monteverde. Continue to Manuel Antonio and just before heading home, visit the national park of Costa Rica which has the most exotic biodiversity! Once you pass immigrations and customs, you will be met by one of our friendly travel representatives with a sign bearing your name. You will be taken to your hotel in San José and given your welcome kit. Explore the area or get some rest - you're in for an adventure! Facing the Caribbean Sea and the Tortuguero River is one of Costa Rica’s main treasures: Tortuguero. The name means “place of turtles” is renowned for 4 different turtle species that nest on its beaches. To get to your destination hotel you will be provided a bus transfer from San José to one of the major ports on the canals. Once at the canals you will board a small motor boat that will traverse the canals to your chosen hotel. Through an infinite network of river canals and mangroves, you will experience a truly unique contact with nature. Although remote, there is rich, stunning, unspoiled nature in all its splendor. Hiking and a boat trip are included. During the turtle nesting season, there is an optional tour at night available upon request at the hotel. This is where lush thick jungles meet the Caribbean seas. Welcome to Puerto Viejo! Let soft, caramel colored sand caress your body as you enjoy the beauty of the Caribbean. Soak in the multi cultural vibes of Jamaican and European influences alike as you relax at the beaches of Puerto Viejo. Puerto Viejo is a marvel of a town, as evidenced by its stunning beaches and many attractions. This Caribbean region offers the exotic Cahuita National Park, the Gandoca-Manzanillo Wildlife Refuge, as well as hidden beaches, rugged nightlife and delightful restaurants. Enjoy a laid back day at your hotel and ask your travel consultant about the many activities that are offered in the area. Become one with your surroundings as you move into a life synergic with nature! This unique Caribbean town is completely authentic, without the golf courses, marinas, country clubs, swimming pools or air conditioned rooms common on the North Pacific coast of Costa Rica. Relax at your hotel if you so desire or take in the sights of this gorgeous region. The Arenal Volcano located in La Fortuna is the most iconic volcano in Costa Rica, since it boasts a perfectly conical shape. You can enjoy your day relaxing at your hotel or ask your travel consultant about the many optional activities that are available in the area. One of the most popular reasons to visit Arenal Volcano (besides all of the adventure activities in the area) are the wonderful volcano heated hot springs that come from the geothermal activity beneath Arenal. Relax in these calming waters! There are plenty of activities to do today as you further explore Arenal! Since July 29, 1968, when the Arenal Volcano first erupted and destroyed the town of Tabacón, visitors have been coming to witness the earth rumble and the lava flow from afar. You can enjoy a stunning view of the tropical vegetation and of the Arenal volcano while crossing over 8 fixed bridges and 6 hanging bridges over the canopy. Remember to bring walking shoes. The region of Rincón de la Vieja is spectacular! Here, there is no real town but a lot of nature to discover. The National Park that encompasses the Rincón de la Vieja keeps the beautiful area of Guanacaste pristine. The surrounding areas are rural and rustic farm lands with lots of waterfalls. Take in the sights and admire nature at its finest. Rincón de la Vieja is renowned for its natural scenery, as well as its brilliant views. Lose yourself in an amazing deep white slate canyon. The region is also home to steaming fumaroles and babbling brooks with clear, sparkling water. You can also see bubbling mud pots, as well as the crown jewel of the region, the volcano. Today, you will enjoy the beautiful attractions of Tamarindo! Tamarindo, with its glorious beaches, offers outstanding surfing opportunities for beginners, intermediate and experienced surfers. Sport fishing tours are also a great way to get out into these blue waters for the chance to catch Sailfish, Yellow Fin, Tuna, and Dorado. Enjoy your day relaxing at your hotel or seek out the many optional activities offered in the area. Watch the majestic leatherback turtles come onto the shore to nest at Playa Grande, go on an early bird watching tour or be active in the waters. You can take a kayak and snorkeling tour, horseback ride along beautiful beaches, or zip through the canopy of the tropical dry forest on a canopy tour. Monteverde is Costa Rica’s green jewel, an environmental amusement park where nature rules and conservation is part of everyday life. 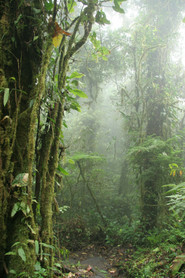 Monteverde is a bird and orchid lover’s paradise. 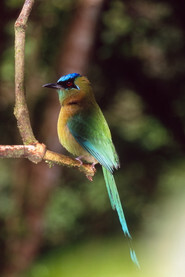 91 species of migratory birds are known to stop in Monteverde. It is also the site with the largest number of orchids in the world with 34 of 500 species newly discovered. Spend the day unwinding at the hotel, and find out about additional adventures available in the region. The famous Quetzal resides in the cloud forests of Monteverde, which means ¨Green Mountain¨ in Spanish. The name couldn't be more appropriate, as you take in the verdant, emerald landscape. At dusk, you can explore the tropical forest when most of the animals begin to be active. You will see numerous insects, owls, and even snakes. The beaches of Manuel Antonio are some of the most beautiful beaches in Costa Rica! Here, the majority of hotels and restaurants are located on the hill top overlooking the Pacific Ocean. Watch spectacular sunsets and take in the scenery. The sparkling waters are waiting for you! Today you have the day free to spend as you wish. 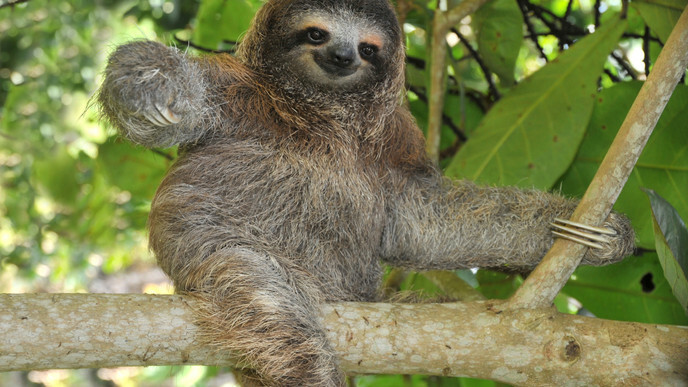 Go on a tour of Manuel Antonio and its surrounding regions! There are many things to do here and you can ask your hotel for ideas! The area is most well known for its scenery and pristine forests where you can catch sight of plenty of animals and birds. The ocean near Drake Bay is abundant with marine species. Isla del Caño is home to many of the same species living in the Galapagos Islands. The waters offshore (known as the Costa Rican Thermal Convection Dome) are teeming with dolphins, migrating whales (for several months each year), manta rays, sea turtles and lots of other marine wildlife. Enjoy your time here as you catch sight of various water animals. 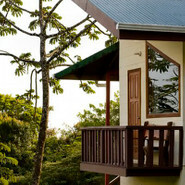 Visit Corcovado National Park Tour, San Pedrillo Station today, leaving in the early hours of the morning for the park. This National Park is one of the most beautiful conservation hubs of the world. Here, you can to see ocelots, margay, jaguars, tapirs, red macaws, toucans, quetzals and many other animals. At noon, you will stop to eat on a deserted beach and swim in San Pedrillo waterfall. Return to your hotel after a jungle walk. Today you will go snorkeling at Caño Island! You will take a boat in the morning to the island and get the required documentation from Minaet Station. Afterwards you will go out by boat with a guide to start your snorkel adventure! Take in the crystal-clear waters, splendid ocean life and the fish of many vibrant colors. Later you can rest on the beach of the Island before the second snorkeling session, followed by a lunch at the Pirate Cove. Our diving groups are small and always accompanied by a guide authorized for ICT and ACOSA. Today you will explore the bustling capital San José, where you can encounter the warmth and friendliness of Costa Rican citizens. Spend a day relaxing at your hotel or take a historic tour around the city visiting our museums or the National Theater. There are also plenty of opportunities in the surrounding areas, like coffee tours, volcano hikes and other adventure trips. After an amazing time in beautiful Costa Rica, it is time to return home. Share your stories and photos with family and friends and make plans to come visit again soon!